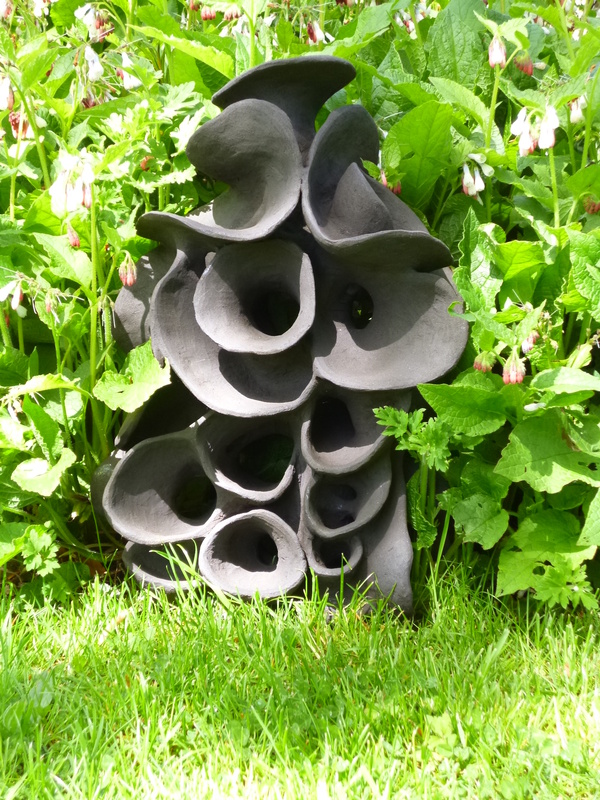 Kathryn is a Fine Artist who makes sculptural work for both indoor and outdoor spaces. Her work is all hand built , the clay spirals and twists to create unique organic forms. As the clay dries it is carved, scraped and burnished to define the forms. The work is rarely glazed allowing the different clay bodies and atmospheres of the firings to enhance the surface. Kathryn grew up in Sheffield and returned in 2012 to her family home where she has a studio. 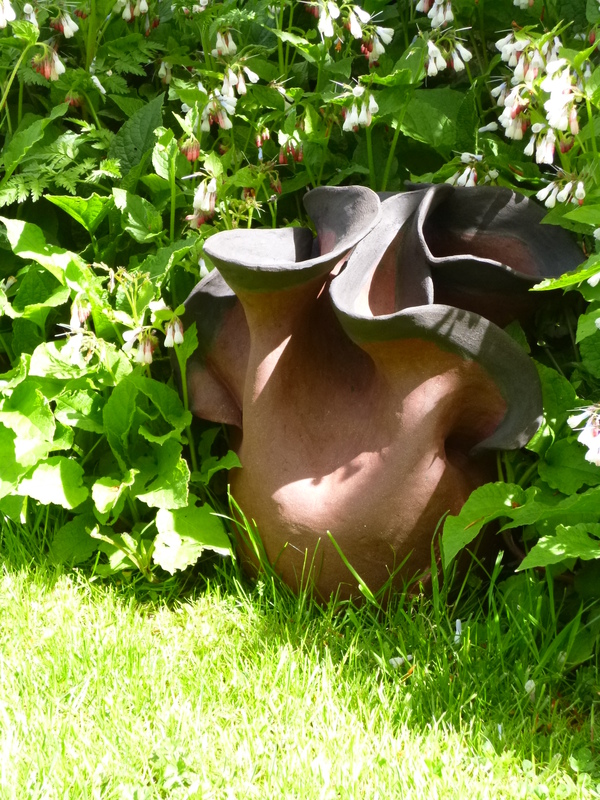 Reaquainting herself with the city and the Peak District has provided the inspiration for her current work : the city centre architecture, prehistoric cup and ring marks, the millstones below the edges and the flora and fauna of her garden. I love the way that Kathryn manipulates the clay into spirals and twists to create unique organic forms.